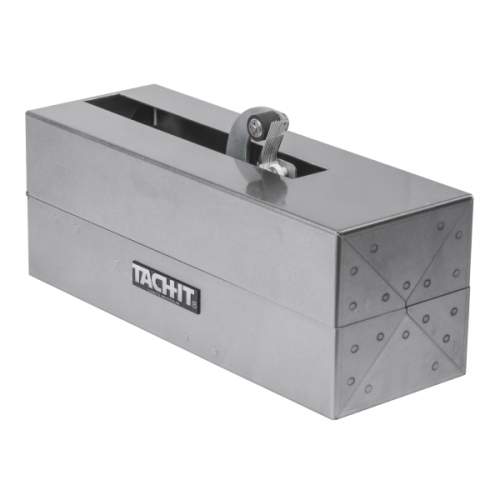 Places a cut length of tape from the side to the bottom of the box creating a secure, economical seal. 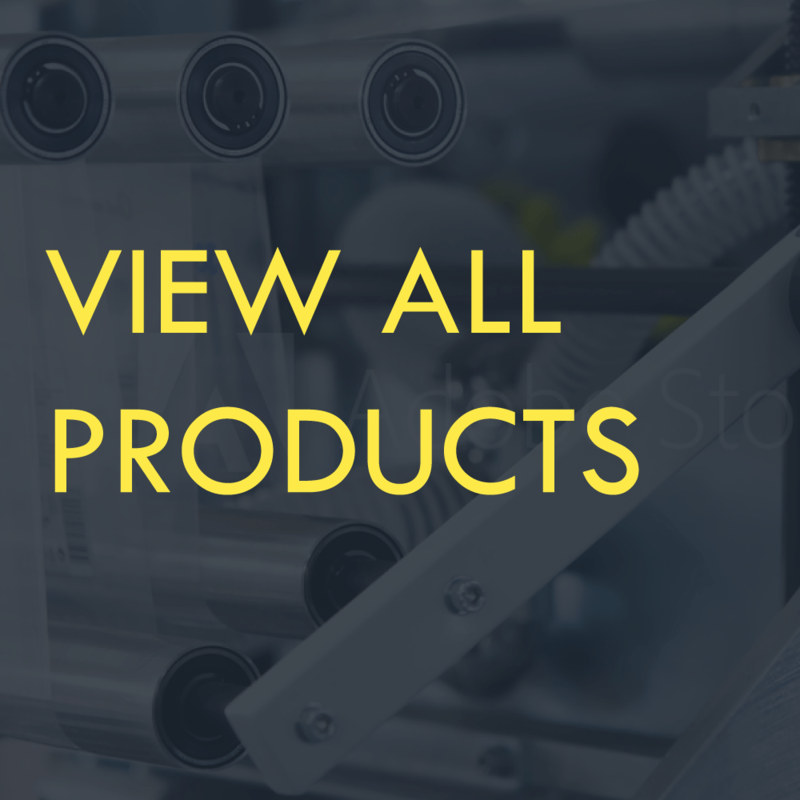 Perfect for pharmaceuticals, medical, food service, bakery, parts packaging, and for sealing any small chip board or corrugated box. Applied most non-reinforced tapes up to 3/4 inch wide. Adjustable feed lengths from 3/4 inch to 1 5/8 inch by turning a knob on the front of the machine. Economical – saves tape and increases productivity. This semi-automatic L-Clip Box sealer is activated by simply pushing a box against a micro-switch and applies a length of tape from the side to the bottom of a box. 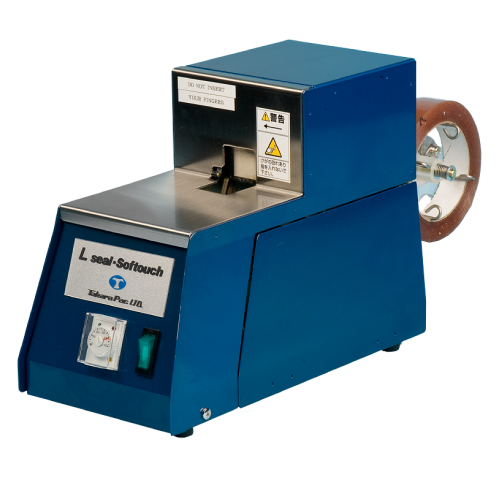 Able to seal 50 boxes per minute, the Model #6400 has adjustable cutting lengths (done by turning a dial located on the front of the machine), can seal soft boxes including chip board and corrugated, is suitable for tamper evident tapes, and requires no operator training or tools to operate or change tape. 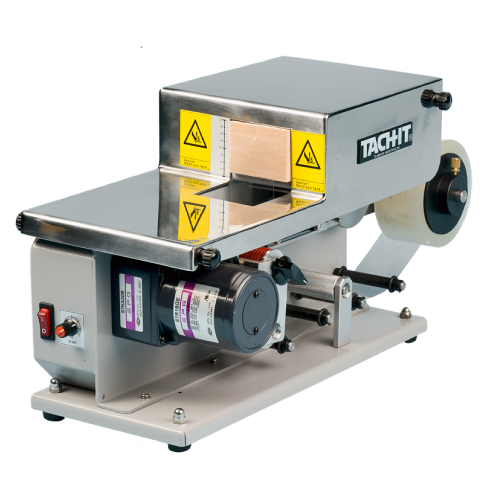 The Model #6400 works with cellophane, pp, and pet tapes from 1/2 inch to 3/4 inch wide and can feed from 3/4 inch to 1 5/8 inch of tape.